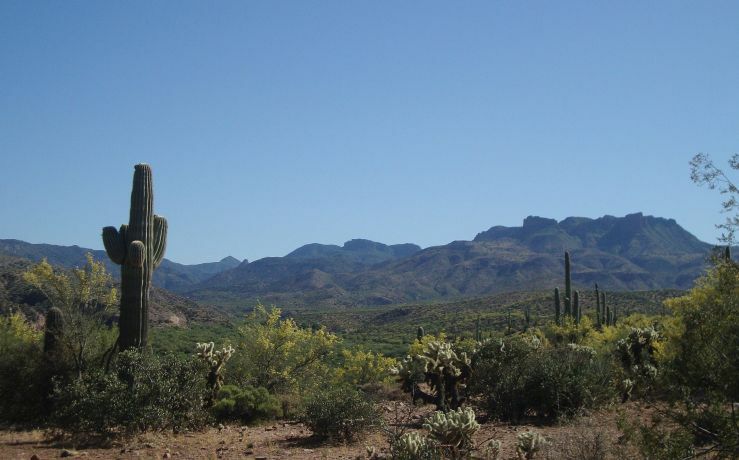 HEAD EAST from Phoenix, Arizona, and you’ll soon find yourself in open country. The Sonoran Desert rolls to the horizon, saguaros and ocotillo standing guard over this mostly unspoiled landscape. The highway rises to Gonzales Pass, where a frontier sheriff is said to have dropped off criminals arrested in his town, after confiscating their horses and boots, and forced them to walk back to Phoenix.